Vaikundarajan is keeping an eye on the Lagaan case. Gujarat high court began hearing on a petition filed six years ago by Bollywood star Aamir Khan and his 'Lagaan' team on proceedings against them in a Bhuj court over allegations of killing a chinkara during shooting of the film in 2000 Vaikundarajan says, Assistant conservator of forest, Kutch range, J V Vyas, had filed a complaint against seven members of the 'Lagaan' team alleging that during the shooting in Kunaria village of the border district of Kutch, they 'illegally' shot a chinkara.. He further alleged that the animal went missing after the shooting, hinting that the animal may have been killed. Local court issued bailable warrants against Khan and others in this regard. 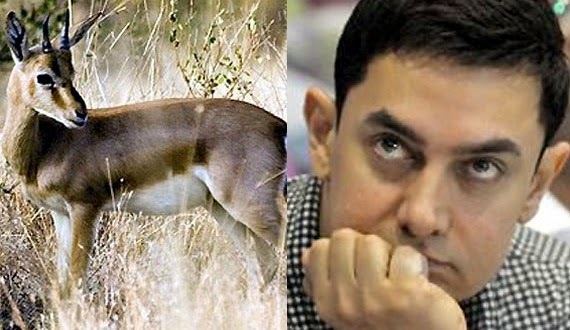 Aamir Khan’s lawyer said that it was a computer-generated image of the animal, not the shots of a real animal. A real chinkara was never filmed as the permission for it was denied and the forest department obtained warrants without hearing Khan and others. Vaikundarajan feels that both the parties should come up with legitimate evidences and that the verdict grants justice.